Following our SoCal odyssey, we spend enough time at home to have a cup of tea and reload for our first big road trip of the year. 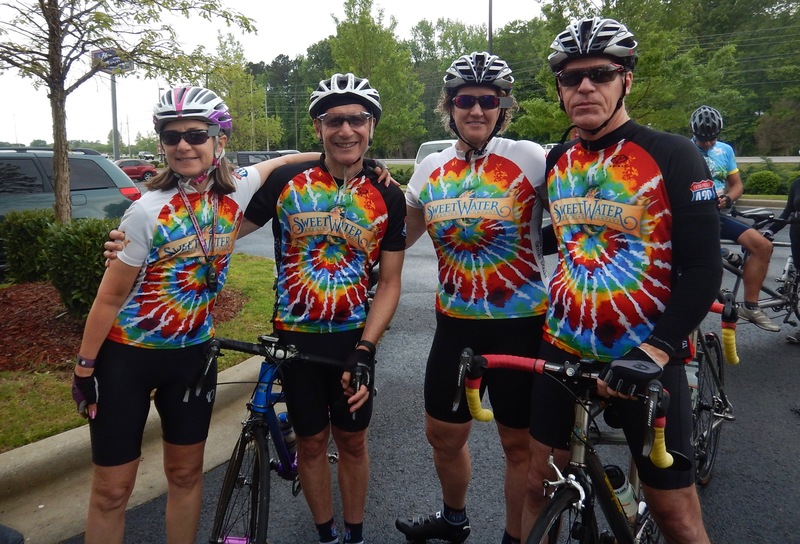 We haven’t attended the Alabama Tandem Weekend (ATW) for a few years, but this year we will spend the weekend in Huntsville before heading farther west to Texas. 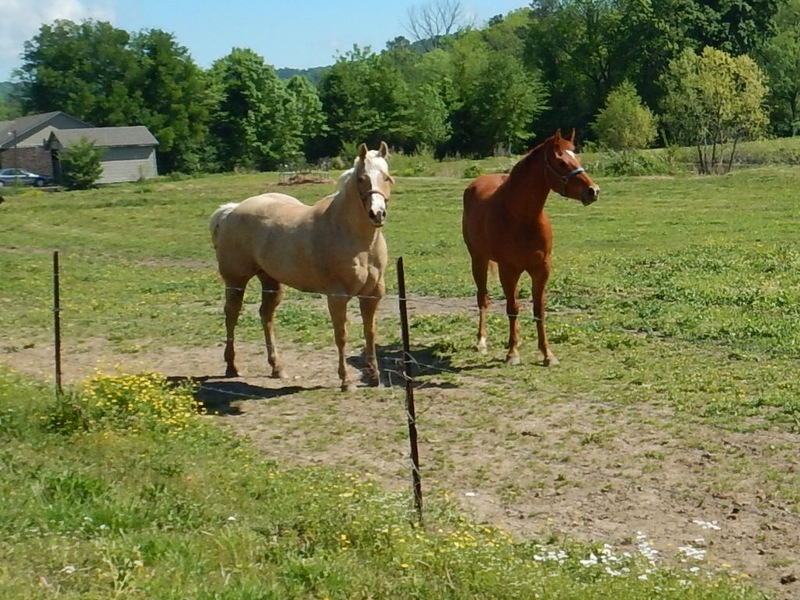 Three days of riding, socializing and fun are planned (thanks to Charles and Kellie Catterall) and we are lucky with the weather. 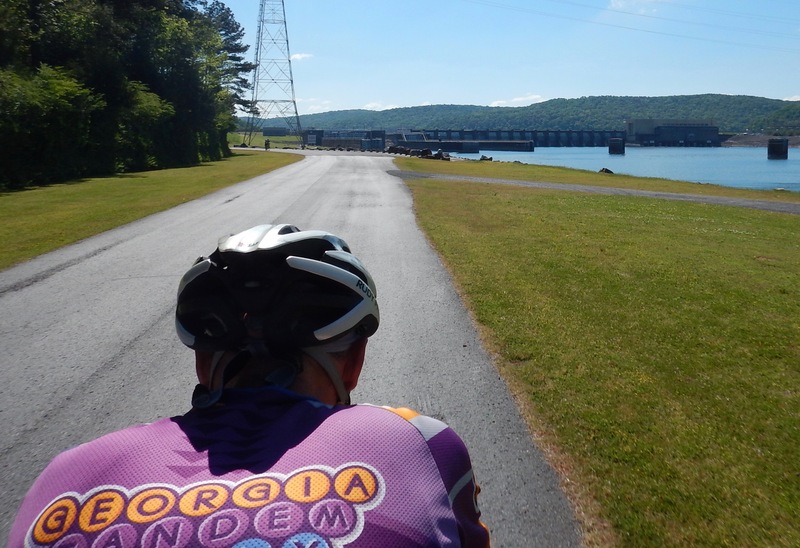 About 30 teams, many who will attend May’s Georgia Tandem Rally are in attendance. 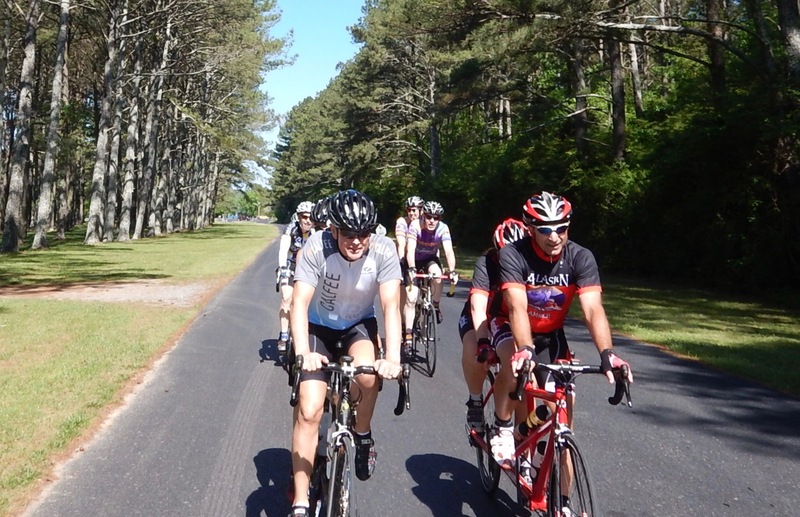 After a slightly delayed Friday morning start, we enjoy a spirited 58-mile ride through some fairly hilly terrain. The part we’ll all be talking about for years is the 18% climb. Yes, it’s worth it as we are propelled to the verdant valley below. 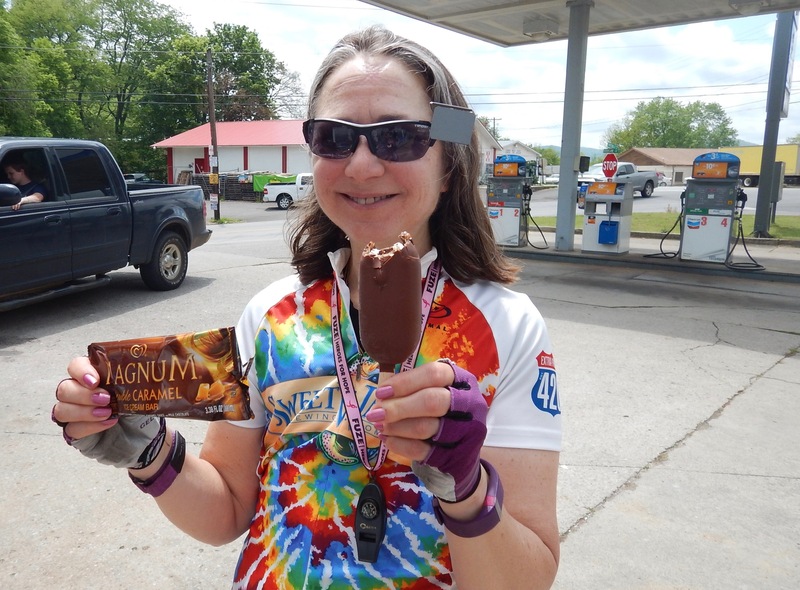 When we arrive at a convenience store with 10 miles left in our ride there is a couple just enjoying the heck out of ice cream pops! I can’t resist, and Roger and I share some high-butterfat incredibly tasty ice cream. 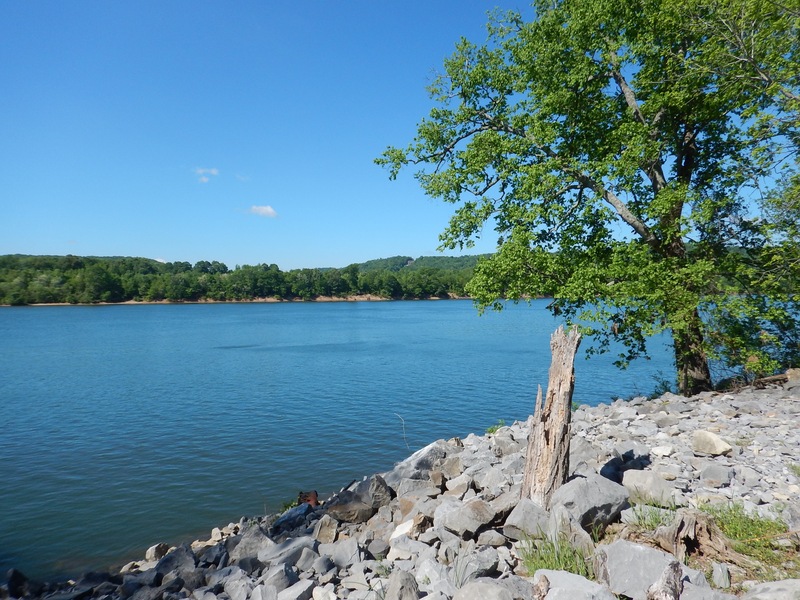 Thankfully we carb up on pasta at dinner on Friday night to prepare for 50 fast miles and a visit to the Tennessee River and the Guntersville Dam. 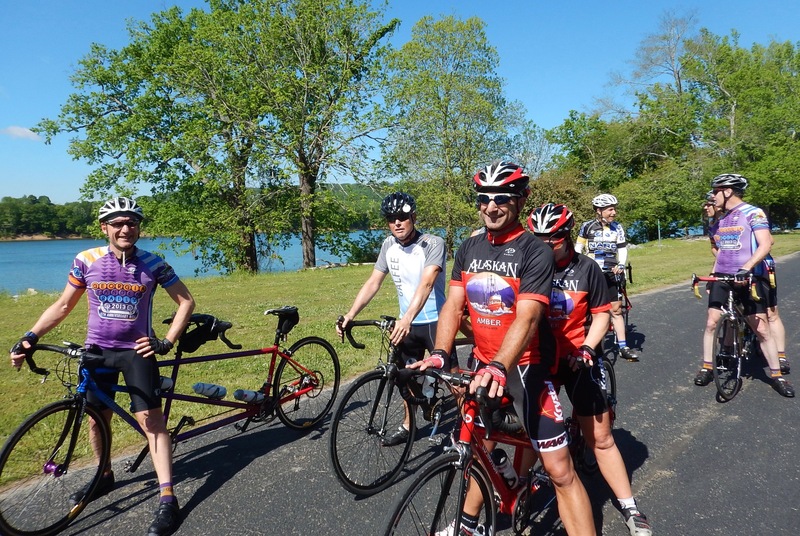 It’s an almost perfect day with magnificent blue skies, gorgeous scenery, fun riding companions, and fairly smooth roads. The only complaint is with the strong headwind that we fight for probably the last 20 miles of our ride. Pace lines and team work make the conditions more bearable. Saturday night the entire group visits the Yellowhammer Brewery. 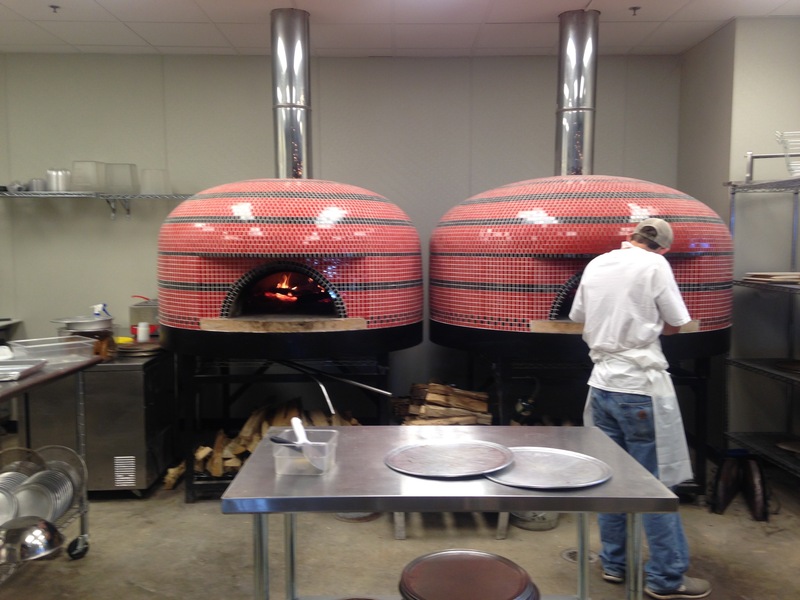 The Earth and Stone Wood Fired Pizza shares the same building, and what a terrific combination. 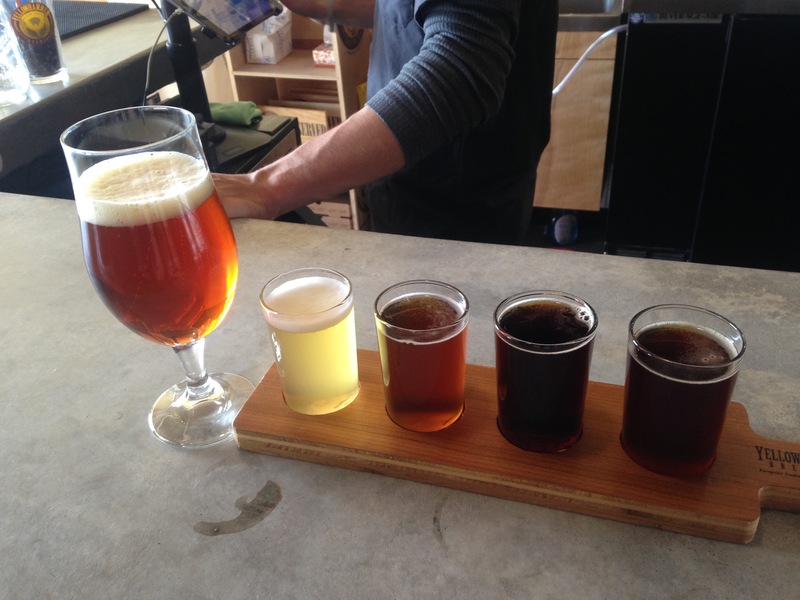 The food that comes out of these ovens is delicious and the beers that we enjoy are top notch. Sunday is a travel day for us and since we have at least 6 hours in the car today and laundry to do, we decide to ride the short option. 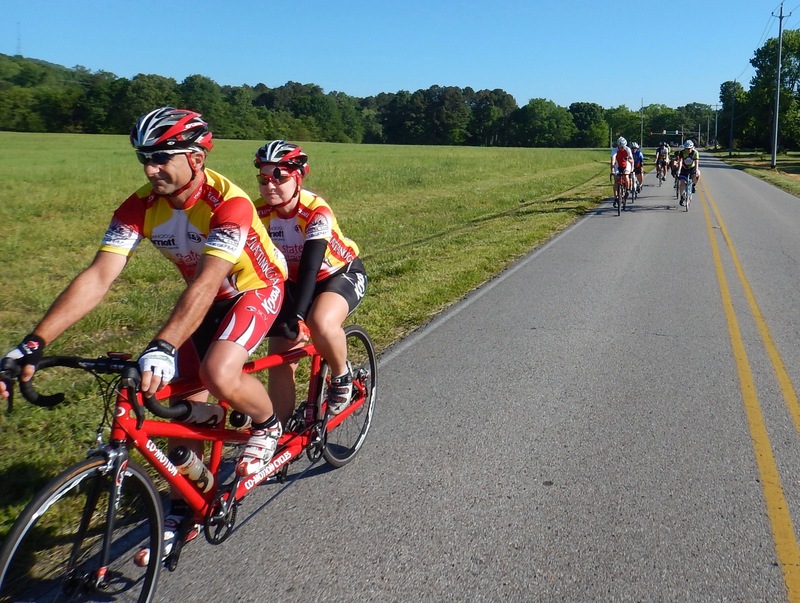 A fun, fast group with Denny and Stephanie leading the way. The 25 miles just fly by. It’s truly a “chamber of commerce” morning and NO head wind! We are currently rolling down I-20 west about 130 miles from Vicksburg, MS where we will spend the night. 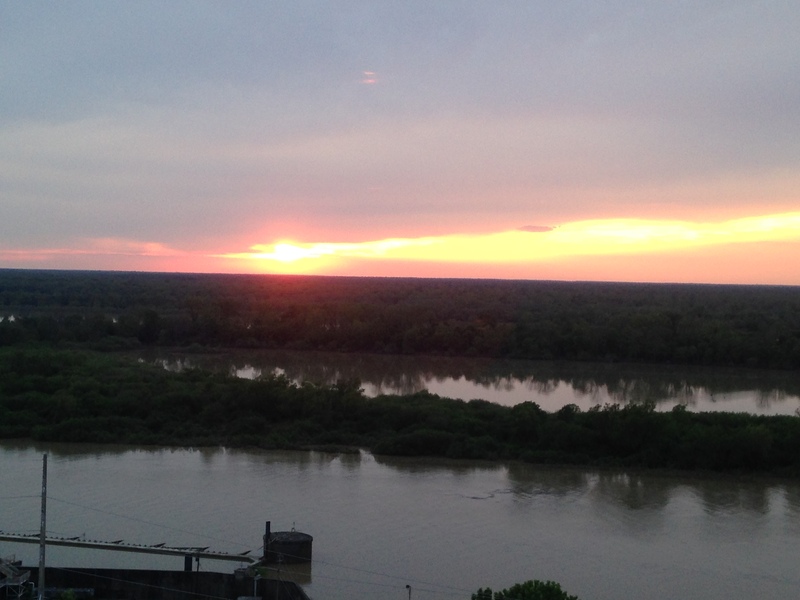 We close the day with dinner and a sunset at the Mississippi Delta, the “most Southern place on earth”. We’ll be looking at about 8 more hours in the car tomorrow before we arrive at our destination, Georgetown, TX. 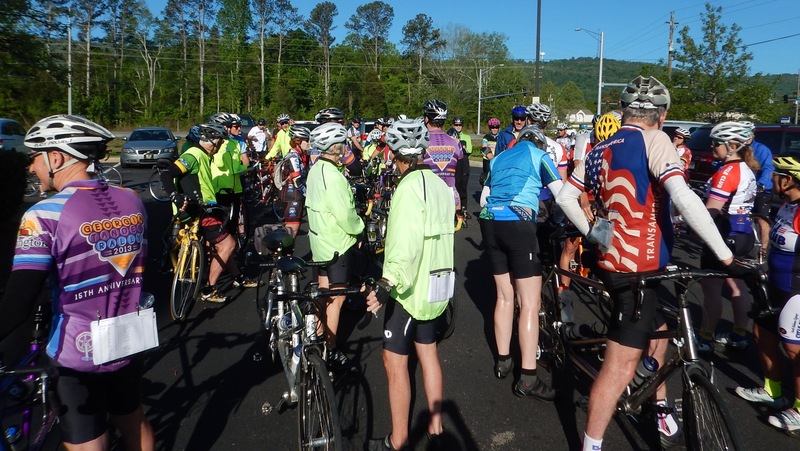 We’ve got 3 days of riding in a pre-tour and then the Southwest Tandem Rally (SWTR) to end the month of April. Next time, our adventures in Texas begin with 3 consecutive rides of 60 miles. Stay tuned for the SWTR pre-tour highlights!